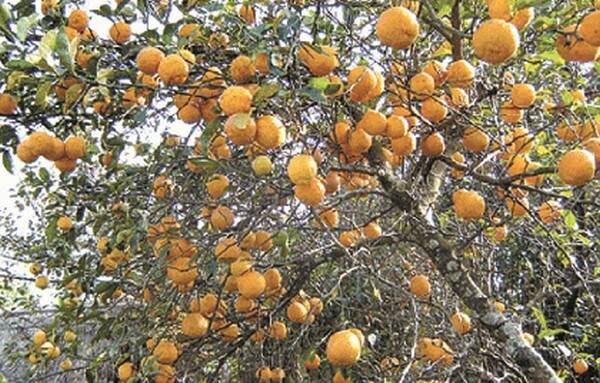 Guwahati, January 10 2015 : Ten horticulture products from the northeast are set to get the much-coveted geographical indication (GI) tag by March this year. The tag will serve as incontrovertible proof of the items' native origin. Items with the tag cannot be produced elsewhere. GI tag is a certification which indicates the distinctiveness of a product's origin at a particular geographical location and guarantees its quality. In India, the Geographical Indications of Goods (Registration & Protection) Act, 1999, came into force on 15 September, 2003 . The items which will get the tag are Naga tree tomato, Arunachal orange, Sikkim large cardamom, Mizo chilli, Assam Karbi Anglong ginger, Tripura queen pineapple, Tezpur litchi, Khasi mandarin, Kachai lemon and Memong narang. Assistant registrar of the Chennai-based Geographical Indications Registry, Chinnaraja G Naidu, said details of all 10 items have been published in its gazettes. The GI applications for these items were filed by the Guwahati-based North Eastern Regional Agricultural Marketing Corporation Limited, Naidu added. "We are hopeful that by March-end, the 10 items should get the GI mark. Of our target to nominate 20 items across the country for the GI label, 10 are from the northeast itself," Naidu said here on Friday. Rabies scare spreads to Noney ?